Working from home may not be ideal for everyone, but it definitely has more benefits than drawbacks. One of the major benefits of working from home is the fact that you get to design your office to fit your needs. You may think that you don’t need an office, that if you’re working from home you can easily work in your bed still in your pajamas. But that’s a sure way to kill productivity. 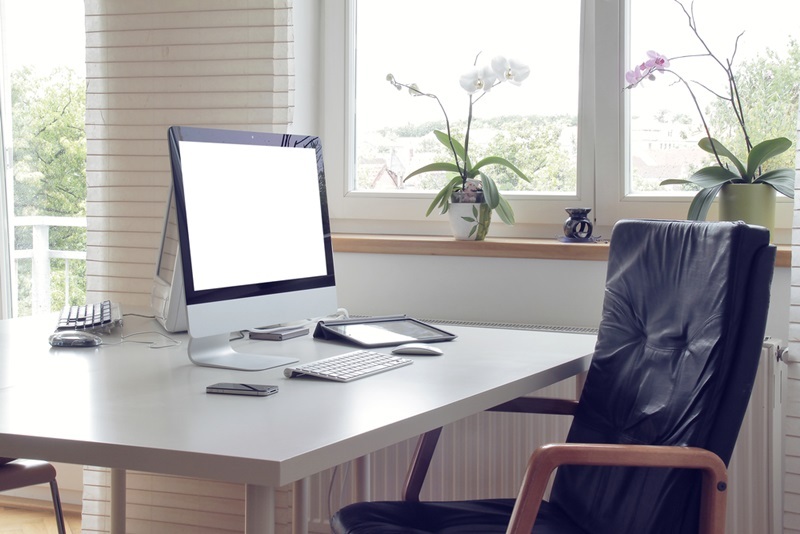 If you work from home, setting up a home office is crucial. It can be an entire room or a quiet corner of your home, whichever you can afford to spare. You could transform that old guest room no one ever uses into an office or adapt the attic. It is important to have an area dedicated only to work. That will help modify your mindset and boost your productivity. The key to designing the ideal home office is to maximize all available space, minimize distractions and just feel comfortable. In this article, we’ll give you a few tips on how to do that. Your work desk is the most important item in your office. That said, you should not skimp when buying the desk. Look around local stores or online retailers like Shore Office Warehouse. What kind of desk appeals to you most? Do you prefer the traditional desk, a standing desk or an adaptable one that can do both? Placing the desk is also extremely important. First of all, you should make sure that your back isn’t facing the door. Your back should be facing a wall and you should be able to see the entrance to the room so no one can surprise you when you work. Another key component to a productive office is comfort. That’s why you have to make sure you follow basic ergonomic rules when designing your office. First of all, make sure that your screen is placed at eye level or a bit below. This will help provide your eyes some rest and prevent fatigue. Make sure your forearms are parallel to the floor as you type. Make sure your feet are resting on the floor or on a footrest while you’re sitting at the desk. Find a comfortable chair that provides good support for your back. This is especially important for people who spend most of the day in a sitting position. There’s nothing that could kill or boost your productivity faster than lighting. That is why you have to use the most out of the available natural light. Don’t place your workstation in a dark corner, but move the desk closer to the window and set it parallel to the panes. This will provide enough natural light without distracting your from work. That said, some rooms simply do not provide enough light if the windows are facing east or if the sun is obstructed by plants or buildings. In that case, don’t shy away from adding as much natural light as you need. Overhead lighting is generally not recommended for work. Instead, try getting a good table lamp which gives off a softer light and can also be a good decoration. When working from home this line is extremely thin, but if you plan on being productive you have to draw it clearly. Tell your family members that your home office is off limits, especially while you’re working, or it may lead to very unpleasant and unprofessional situations. Consider adding a separate phone number to your office so calls from relatives won’t disturb you in the middle of work.